UniStrip1 Glucose Test Strips are designed to work with the OneTouch Ultra, OneTouch Ultra 2, OneTouch UltraSmart, and OneTouch UltraMini blood glucose meters. UniStrip test strips are FDA approved for use with these meters and can be used for alternate site testing of fresh, capillary whole blood samples from the fingertips, forearms, and palms. These test strips are an excellent option for customers paying for test strips out of pocket or that have high insurance deductibles. This product you will get 1200 UniStrip1 test strips. 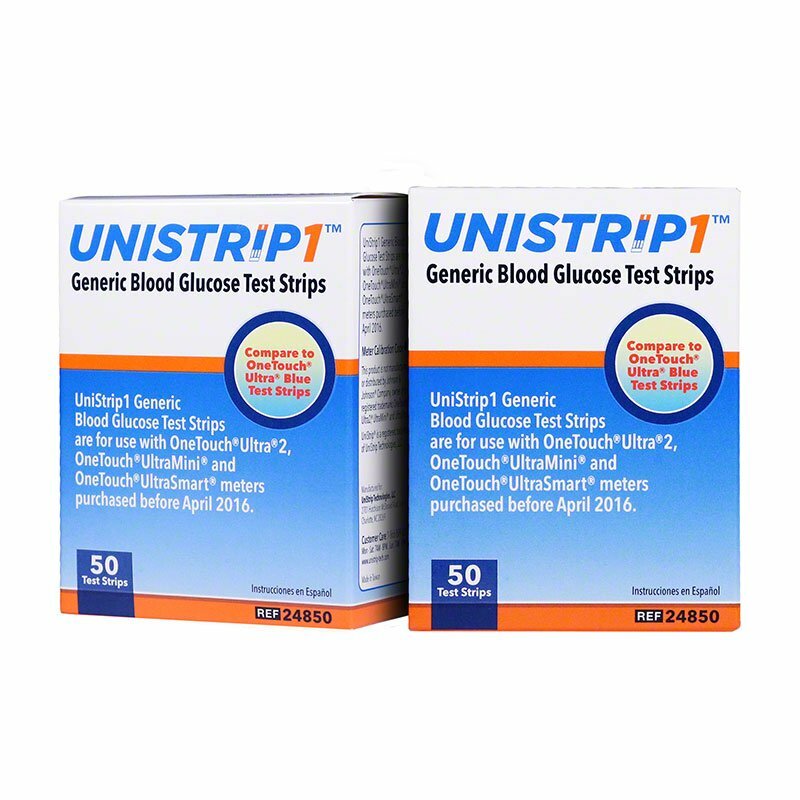 The UniStrip1 test strips are only for use with the OneTouch Ultra, OneTouch Ultra 2, OneTouch UltraMini, and OneTouch UltraSmart meters purchased before April 2016, set at calibration code 49, for measuring glucose (sugar) in while capillary blood. The UniStrip1 is meant for self-testing of blood glucose as an aid to monitor the effectiveness of diabetes control.